Spot is a young adult male king pigeon that I first met when checking on the pigeons at SFACC on 2/24. He's all white except for that one gray spot on his head. He had been found as a stray on 2/18 and was already timed out when I met him. I was too full up to take him and the many others but left the shelter word that I was working on finding homes and to please not euthanize any pigeons for space without giving me a heads' up. He was still there when I stopped in on 3/13 and so were lots of other pigeons... I hate to see them stuck alone in small shelter cages for that long but at the same time, they are very lucky because SFACC is bending over backwards to give me time to get them homes and get them out of there. On Sunday, 3/28, I got a call from SFACC about a sick baby pigeon that needed help and I decided to bring Spot and the others home as well. MickaCoo volunteer Cheryl was going to take some additional fosters and I've got some adoptions coming up next week and so I just decided to bring them home and be extra crowded for a bit. 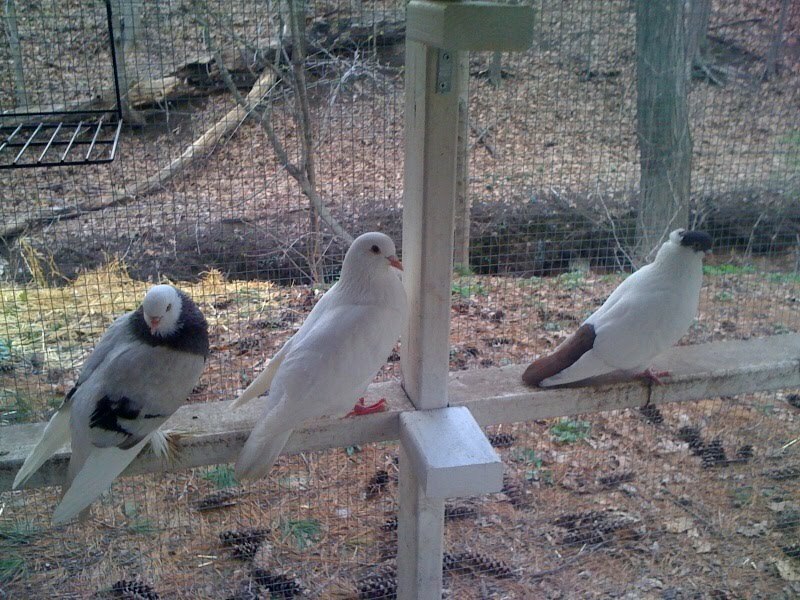 It's hard to adopt out the shelter birds because I don't really get to know them and so they are at a disadvantage when I'm trying to match them with an adopter. 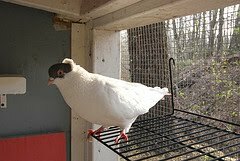 Me and a pigeon named Snowball did get lucky though on Sunday when Victoria made a special trip to meet me at SFACC and pick out a friend for her feral pigeon, Daisy, rescued a year ago. 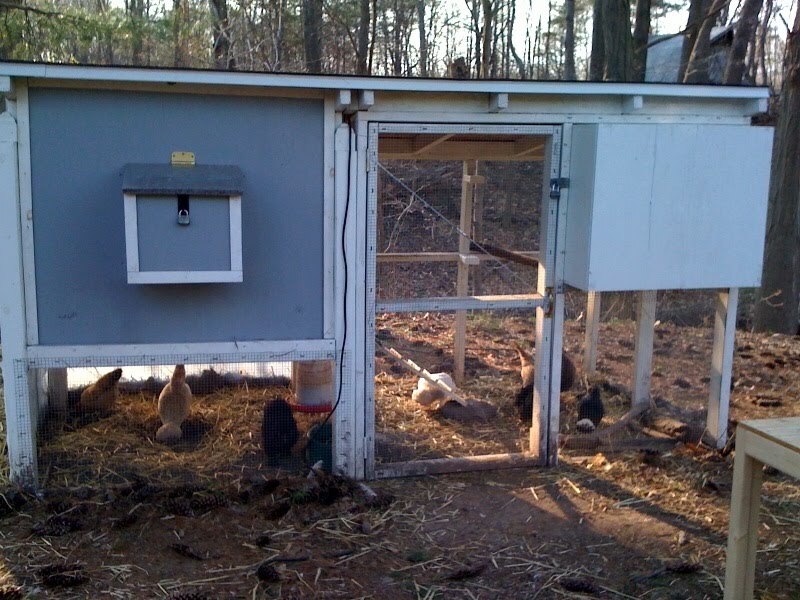 That meant I was only bringing 6 pigeons home instead of 7. Thank you, Victoria and Daisy! 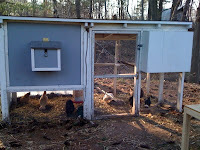 From out of his shelter cage and after a ride in the transport box, Spot finally made it to a more pigeon friendly location- my backyard coop. He is very happy to have room to fly, friends to hang with and to escape the threat of being euthanized for want of a home. Six weeks is a looong time in a shelter. He's a good, patient bird. 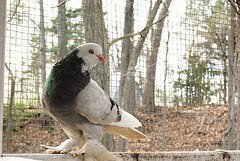 On Monday, 4/5 rescued West of England Tumbler Austin and king pigeon Spot were shipped via USPS Overnight Express to their wonderful new HOME in Wallingford, CT. 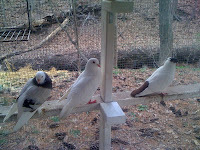 They arrived safe and sound and, much to my, the adopter and their relief- early the next day and have joined a lonely rescued helmet pigeon named Francis.